Wireless sensor networks (WSNs) have great potential to revolutionize many science and engineering domains. We present a novel environmental monitoring system with a focus on overall system architecture for seamless integration of wired and wireless sensors for long-term, remote, and near-real-time monitoring. We also present a unified framework for sensor data collection, management, visualization, dissemination, and exchange, conforming to the new Sensor Web Enablement standard. Some initial field testing results are also presented. The monitoring system is being integrated into the Texas Environmental Observatory infrastructure for long-term operation. As part of the integrated system, a new WSN-based soil moisture monitoring system is developed and deployed to support hydrologic monitoring and modeling research. 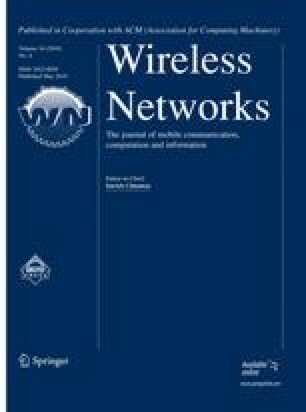 This work represents a significant contribution to the empirical study of the emerging WSN technology. We address many practical issues in real-world application scenarios that are often neglected in the existing WSN research. This work is supported in part by the National Science Foundation of the United States under Grants OCI-0636421, CNS-0709285, and EEC-0431818 and by the Texas Advanced Research Program under Grant 003594-0010-2006. The authors would like to thank David Hunter (City of Denton), Sonny Solis (Texas Parks and Wildlife), Bob Carle (National Weather Service), Wilfredo Franco (ULA), and members of the TEO Research Group at UNT, especially Rudi Thompson (Biology), Duane Gustavus (CITC), Adam Skelton (EE MS student), Sanjaya Gurung (EE MS student), and Liping Chen (Applied Geography MS student) for their contributions to the development of the TEO system. Sensor Web Enablement WG., Open Geographic Consortium Inc. Available at http://www.opengeospatial.org.